Castlemain team members are currently connecting with Indigenous-owned businesses, initiatives and events on Vancouver Island to better understand the Indigenous economic development landscape in the region. 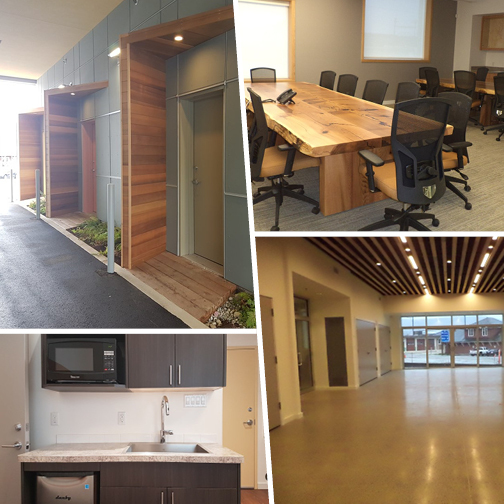 Our economic development team caught up with the Uchucklesaht Tribe this summer in Port Alberni to view their recently constructed short term rental units and meeting spaces. The building, referred to as “The Thunderbird” includes a Cedar Hall (seats 80) and a boardroom (seats 24) for meetings or training sessions, and three short-term accommodation suites. Further inquiries can be made to Lysa Ray at Lysa.Ray@uchucklesaht.ca. First Nations Made is a series of economic development focused blog posts that highlight Indigenous-owned businesses on Vancouver Island.